Today, so many different companies are relying on modular buildings instead of the traditional structures to hold their business. That is because modular in plant offices are just as functional as your average building, except here you can move and transport them as needed. Do not worry, though. Even though you can pick up and relocate inplant offices, they are still study, allowing them to withstand even the most intense weather conditions. If you feel that a modular in plant office is the perfect addition for your business, head straight to us at Panel Built. We are a company that not only manufactures modular in-plant offices, but also delivers amazing customer service and affordable rates along the way. Based out of Blairsville, GA, we are market leaders in the modular in-plant office industry. In fact, here at Panel Built, we are known as the best manufacturer of a pre-fabricated building, modular offices and pre-manufactured building. In the past, our products have been used for all sorts of functions like schools, churches, sports gatherings, and of course work purposes. Our company was originally founded back in 1995 by brothers Mike and Pat Kiernan, when we only focused on the construction of pre-manufactured buildings. That means we have almost twenty years worth of experience in this field. It is that time, though, that has allowed us to see exactly what kind of modular inplant offices leave our customers satisfied, and which ones only fall apart in the long run. We are very dedicated into delivering you the very best this industry has to offer and we will stop at nothing until you get it. That is why you should never settle for a company just starting out in this industry. Come to us instead because we have the experience and expertise to get you the perfect modular inplant office that meets your needs. 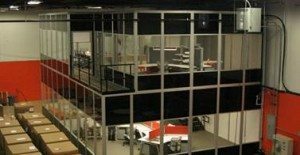 As part of our services, we offer a full line of custom mezzanines, modular offices, exterior buildings and pre-assembled buildings. Each and every product we send out has gone through a strict quality control program, meaning that when you purchase a modular in-plant office you are getting a building that will stand the test of time. Besides this, all of our product lines are created on site, within two of our incredible and nationally renowned manufacturing facilities. 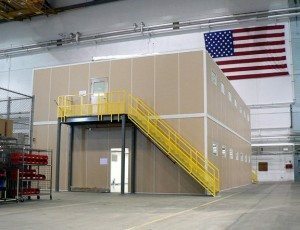 A common misunderstanding about two story in-plant office(s) is that since they can be transported, these buildings are not safe for people to be situated within. That is definitely not the case. These buildings are just as strong as the ones construction sites would erect. Rest easy that there is no danger associated with a modular inplant office. What Else Does This Multi-Story Inplant Office(s) Company Have to Offer? What sets us at Panel Built apart from our competition? Well, here we provide affordable rates on all our modular office buildings. We understand better than any other company that offers three story in-plant office(s) just how rough the economy is and that many different businesses do not have the means and money to purchase these types of structures freely. That is why we make sure to keep the price of any and all prefabricated in-plant office that we provide to our customers at all-time low prices. However, while we offer affordable modular buildings prices, we never substitute quality here. Every Panel Built modular office we produce is in top condition, no matter how cheap the price may be. Here, we are not only known for our cheap Panel Built in plant offices available online, but also our fantastic customer service. Each and every staff member that works here has gone through extensive training, so they are very educated in the multi-story inplant office(s) field. This is such a breath of fresh air compared to other companies that sell multi-story inplant offices. That is because they tend to hire entry level workers that have not the slightest clue about modular office construction. At Panel Built, our staff members will be able to handle any questions, comments or concerns that you may have. That is why you should never hesitate to speak your mind. We value your opinion and what you have to say. After all, we feel it is your feedback and thoughts that ultimately make our modular office systems company stronger. How Do I Get in Touch With This Prefab Building Company? Unlike any other in plant office company, we make it super easy to get in touch with us. First off, when you need a Panel Built in plant office, call us at 1-800-636-3873. From there, one of our staff members will be more than happy to discuss with you the different options and services we have regarding our prefab modular office building for sale. If you have any questions regarding the modular inplant offices by Panel Built, speak up. Remember, we are here to help you. At Panel Built, you will never feel in the dark about what’s going on with your prefab modular office building. Here, we will never blow you off to make a quick profit. Other than calling us, you can also get in touch with us about our modular office rooms by shooting us an e-mail at info@panelbuilt.com. There, you should include all your personal information as well as any message you have for us about our modular inplant offices. Once we receive your inquiry on the modular buildings by Panel Built, we will respond back to you in a timely fashion. Now is the time for your company to bring in a modular building, so contact us today!